Yes, yes chestnuts are the keynote of our last trip to Slovenia. We said welcome to Ljubljana during the last weekend. There took a place dual CACIB and a Club Dog Show of Slovenian Retriever Club. 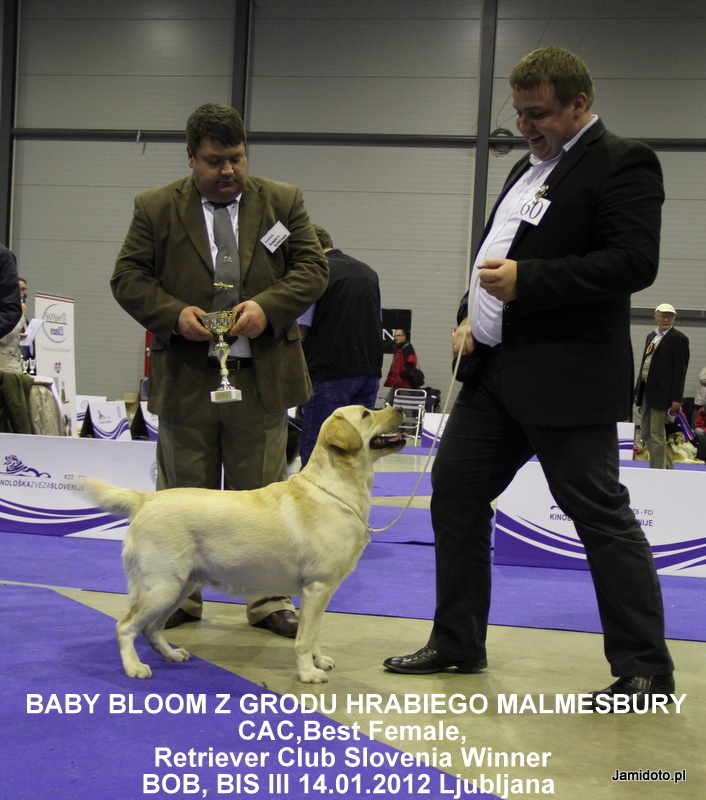 BLOOM showed in a Champion Class was second during the first CACIB Dog Show – she got resCAC and Atom showed in working class was first, he got CAC and resCACIB. On a club show during the Saturday’s evening Atom was also first and Bloom got all tittles: CAC, Best Club’s Female, BOB and she was BIS III. What a joy for us it was!!! Bloom is a Slovenian Retriever Club Winner 2012. Sunday was also successful. Atom was first for the third time and Bloom got resCAC again. Ljubljana is a beautiful old historic town with magnificent market – we recommend and for sure we will visit it again. Thank to our Italian friends for a wonderful cheering and atmosphere. See you in Maribor!